What's New: Lancome, Boscia and Dior | Top Beauty Blog in the Philippines covering Makeup Reviews, Swatches, Skincare and More! Three new great and exciting skincare products from Lancome, Boscia and Dior worth giving a try . . .
Lancome Visionnaire Nuit Beauty Sleep Perfector $88.00 - Indulge in an anti-aging gel-to-oil formula that has a gentle-calming effect on skin, transforming from a gel into an oil during application. Feel instant fresh hydration followed by the nourishing comfort your skin craves — without the heaviness or greasiness of a typical night product. This non-greasy and non-sticky formula includes a high concentration of glycerin, ceramides, and four plant-based oils to work at an optimal level during skin's nightly repair cycle. Boscia Charcoal Pore Pudding Intensive Wash-Off Treatment $38.00 - This decadent treatment is formulated with the power of black and white charcoal and the added benefits from Kaolin Clay to detoxify and cleanse the skin and pores deeply without irritation. The formula also moisturizes, balances, and hydrates for a clearer, more refined, stronger, and healthier looking complexion. 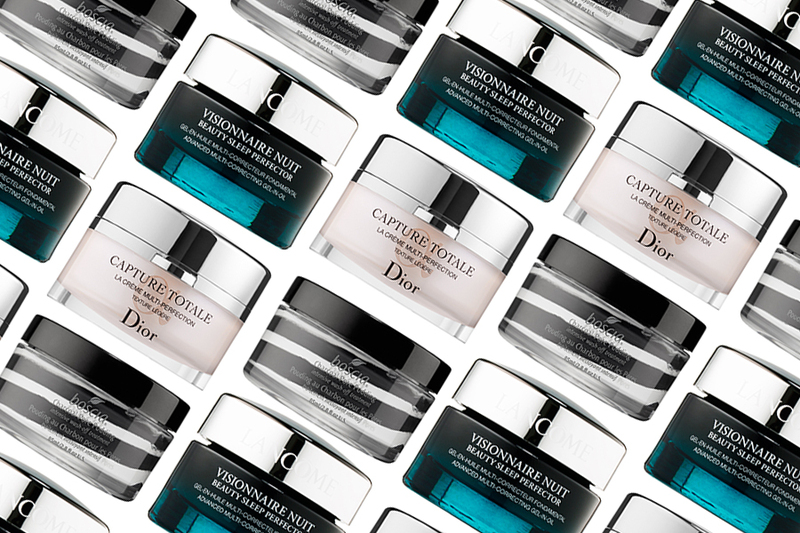 Dior Capture Totale Multi-Perfection Creme $165.00 - Revolutionary and unrivaled, the Capture Totale global age-defying skincare line acts at the level of the deepest youth-preserving cells. This facial cream adds density to the skin, regaining firmness and revitalizing the facial contours while plumping, smoothing, and illuminating for a radiant look. It intensely nourishes, moisturizes, and strengthens the skin revealing a new youthfulness. La Dior costa un poco molto ma deve essere valida! I would like to try the multi-perfection cream from Dior!!! I bet that dior cream is amazing but I could never seeing myself spending that much money for a cream. Devono essere davvero ottime queste creme!! I would actually love to try all three of these products! Love a good skincare post! I interesting in the Boscia Treatment. I have their detoxifying charcoal wash and i LOVE it. Love Dior Capture total, it's a great and smells soooo good! That Sleep Perfecter sounds amazing! Oh wow, but unfortunately too expensive! Fantastic products! I want to try them all. Wonderful selection! Would love to try the Boscia one. i love dior/ great brand.